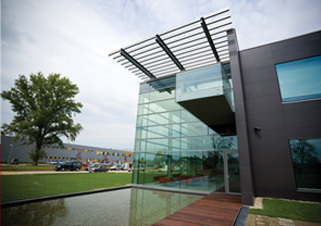 Located at the convergence of the M3 highway and M0 motorway, East Gate Business Park is the largest modern business complex in the north-east vicinity of Budapest . In the domestic market the business park is unique in providing modern, high quality warehousing and commercial spaces for lease, as well as “A”-category offices or stand-alone office buildings. Maximum tenant satisfaction is guaranteed by our group of experts in the project development.